Medical students posing with cadaver. 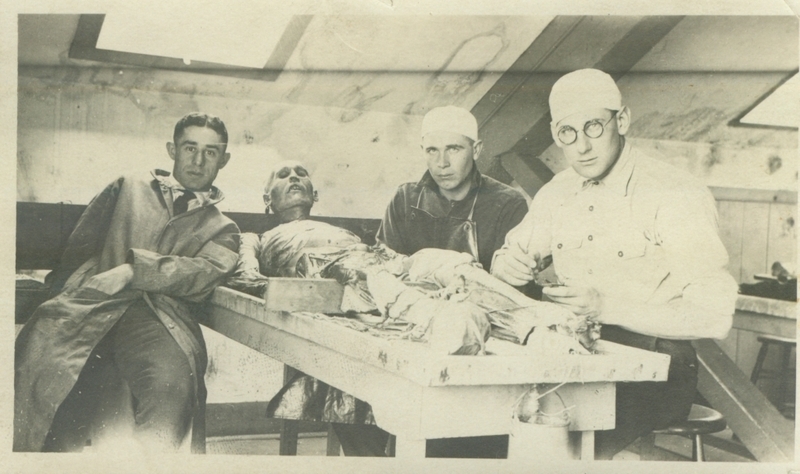 Three medical school students around a wooden dissecting table on which lies a cadaver. Two of the students have wrapped the arms of the cadaver around their necks. The dissecting room was located in the top of Adams Hall.